/ Our Team / Darren L Hoover, MD, F.A.A.P. Meet Darren L Hoover, MD, F.A.A.P. 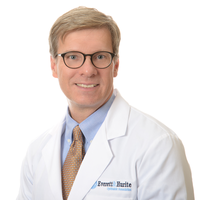 Dr. Darren Hoover is a board certified ophthalmologist specializing in pediatric and adult strabismus. Dr. Hoover specializes in the medical and surgical treatment of both pediatric eye diseases and eye muscle imbalances in adults. He concentrates on surgery to correct strabismus (misaligned eyes), tear duct obstruction, pediatric cataracts, and pediatric eyelid malformations. He conducts clinical research in pediatric ophthalmology through the Pediatric Eye Disease Investigator Group (PEDIG) which is funded by the National Institutes of Health (NIH). Because of advances over the last 25 years, surgery to correct strabismus can be performed successfully at any age and always on an outpatient basis. Many adults who have been told in the past that nothing could be done to correct their misaligned eyes are now discovering that newer surgical techniques can bring about improvement in the vast majority of cases. Dr. Hoover is a fellow in the American Academy of Ophthalmology, the American Academy of Pediatrics (section on ophthalmology), the American Association of Pediatric Ophthalmology & Strabismus, and the Pittsburgh Ophthalmological Society. He has published numerous articles and book chapters on ophthalmology. He is an Executive Committee member (2012-2013) and an Investigator for the PEDIG organization.